Home › Reviews › Is Isagenix A Scam? First off, Isagenix is an International dietary supplement and personal care products provider, which on top of that it is also a multi-level marketing company. 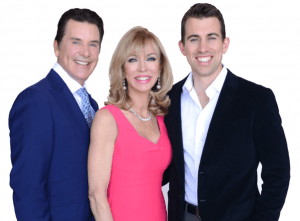 The company is based out of the Phoenix, Arizona area and was founded by John Anderson, Kathy Coover and her husband Jim Coover back in 2002. Isagenix is the kind of equivalent to a program like Weight Watchers but with multilevel marketing to boot. They promote numerous products for weight loss and body cleansing. The supplement industry is a vast market, and Isagenix is holding on to it slice of the pie. Their weight loss packs seem to be the big seller at Isagenix. With every Multilevel marketing, it all sounds the same, the same scheme, and you wonder why can’t you see their products on store shelves. Probably because their products can’t be sold based on their own merits. When you purchase the product(s), you are in essence paying people’s salary. Many people, people you will never meet! That is why prices always seem so high! Isagenix is no different expensive products. All kinds of people get paid when a product is purchased. Instead of paying the overhead in a typical retail store that is reflected in the price of a product, your overhead is zero in Isagenix, but it’s the people you don’t see above from owners on down to the rep that sold you the product that gets a slice of your money. You first choose the best solutions to change your life and your pocketbook. Then you can further customize each solution to better fit your needs. The solutions being between these four options: Weight loss, Energy, Performance or Healthy Aging. They then allow you to pick liquid or powder. Then you choose what flavor you like. Then how it is packaged, in a canister or packet. They give you plenty of options, which is fantastic. To better understand who and what Isagenix is, sometimes it’s more accessible to know by looking at their competitors are Herbalife, Shaklee Corporation, Weight Watchers, and NBTY. Some of these companies, you probably heard of before. To get started on with the multi-level marketing Isagenix recommend you buy their Isagenix products first. To come from the place of knowledge and integrity. It probably doesn’t hurt when trying to sell the products too. So you can tell future customers, “don’t buy the chocolate flavor it doesn’t taste very good” or something like that. The next step Isagenix recommends after that is making that dreaded MLM list. Oh yes! You know the list of people you know, friends, family, coworkers, and strangers. Be prepared for you rookies out there, for the droves of NOES your going to get. Every known MLM company uses this friend skirting, future family avoidance making list. If you want to spend Christmas alone this year, then push an MLM product down the throats of your family members during the next holiday get together and see what happens in the months afterward. AWKWARD!!! You have been warned. Although Isagenix warns you to be subtle and vague when pitching Isagenix. Their pay system is complicated with multiple different levels, definition of Terms (OMG!! Study this for a while) and different requirements for each level, for example, you can be a Manager, but you can also be a “Crystal Manager”(what kind of name is that? Are we in Lord of the Rings? Hey Frodo, check out this Crystal Director I found in Mordor!). I can also see someone saying to associate below them, “Yeah, I’m not a Manager, I’m a Crystal Manager” I sure hope the wife/mom (Kathy) came up with this name, I would cringe if old Jimbo did. To get more details on this complicated, detailed compensation plan head on over here. I will try to simplify. Sorry, Yoda. If you reach Crystal expect to be paid a lot more in bonus money. Confused yet? Or turned off? Well, let’s proceed despite, the higher the level, the better the pay. I know a shocker, right? Especially for them Crystal people, that hard work getting people under you in short time will pay off big time. Retail Profits – Get around 33% off of retail price. Then sell to customers at retail. Lots of ways to earn money and incentives. A very large collection of products in which to sell. Isagenix claims over 150 millionaires made by them. Sold a lot of product, 3 billion in cumulative revenue. Donates vast amounts of money to charities. All product have a 30-day money back guarantee. A charismatic person with a bulldog approach to getting sales would do well here. People above you have a vested interest in you doing well, expect help from above. Complicated pay structures. Very hard and confusing to understand. Constant pressure to recruit new people and sell products. Or risk being demoted or kicked out. Not a lot of training. Kinda left on your own. Not good for new people in the business. You have to build an equal team on both sides to be paid more. If on one side you get a ton of people to sign up you won’t get paid your full potential until you get the other side of your team up to snuff to the first team. Must weather of storm or NOES to be successful. Their products for weight loss are not anything new for example, their shakes, they try to get you to drink one a day. Huh, sounds a lot like Slimfast diet. Drink one shake a day for a meal replacement. But I bet Slimfast is A Lot cheaper. Family kind of creeps me out. I’m not trying to be negative but share my views. Too happy? Too rich? For the right person, it can be a great opportunity. Absolutely! If you previously already failed trying out a different MLM company, I don’t think you will find success with this company. If you are a people person, then yes, it will work for you. 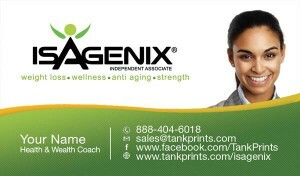 Do you make friends easily have a platoon of family and friends from which to promote Isagenix? Are you a great salesperson? Make sure before spending money on something, it fits you. Will you thrive in this environment? 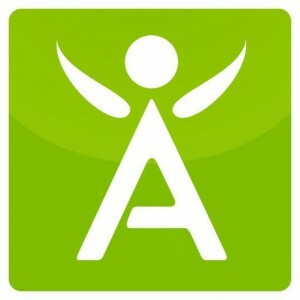 Isagenix has numerous videos and resources you can check out. They also offer a pdf that has opening lines to use on new customers and to have a conversation leading to sales. The people above you on the matrix usually will help you, because they have a vested interest in making more money with your growth. Is Isagenix a scam? Isagenix is obviously not a scam. They have been in business since 2002, that’s over 13 years. They are also accredited with an A+ rating at the BBB. With a total of 44 complaints. Which is nothing compared to the amount of product they sold and being such a large company. It’s a drop of water in an ocean of water. They pay their clients regularly and apparently; they make a lot of millionaires. But I don’t like the need to constantly having to recruit people and hoping the people you recruit are good at recruiting people also. As this doesn’t always work for everybody. Try 95% of people will not make money in any MLM company. The numbers don’t lie. 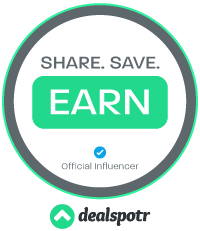 If you’re looking for a different way to make money than Isagenix, I would suggest you head on over to my #1 recommendation on making money here, Wealthy Affiliate Review. Please feel free to leave a comment or questions below. Thanks! So glad you found the information helpful, I always try to do my best. Thank you also from a little Miss Diane…. Very helpful. Basically you would have to be one of the top dogs to earn anything fundamental and have plenty of cash to put into it to begin with by the sounds. It all depends on your salesmanship skills and the people you talk to. This type of way of making money is to be polite is so gross to me. I enjoy affiliate marketing because I am not that much of a people person. Try to force things upon people repulses me, as I like presenting the information on a webpage and having the person reading come to their own conclusion if they need a certain product. Isagenix is clearly not a scam. Good article though, agree with most of your positives and negatives. Network marketing as a whole isn’t for some people (and some companies give the industry a bad name). There definitely not a scam but for some people that join that are not sales oriented will be a waste of time in order to succeed.